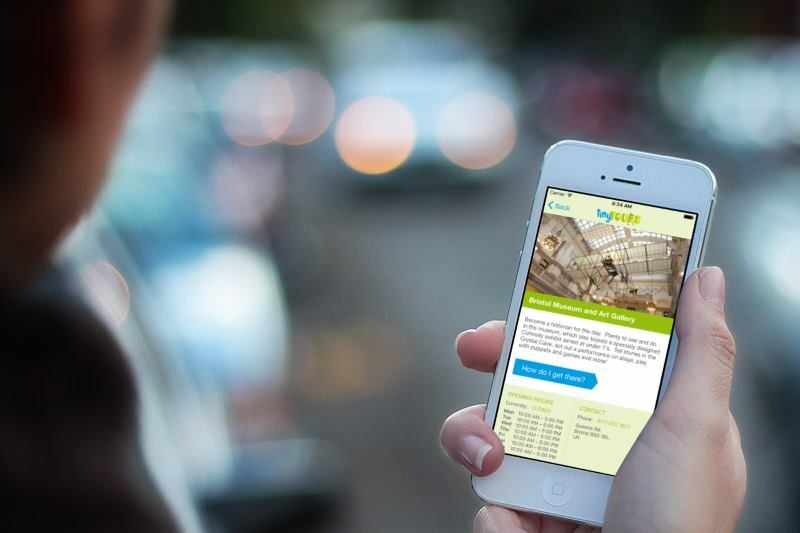 Tiny Tours, the award-winning free app, launches in Bristol this week, just in time to ensure the summer holidays are fun for children and stress-free for parents. The Tiny Tours app is your free, simple, digital saviour that tells you what, when, where and why. It offers places to visit throughout Bristol so, if inspiration is waning, then a Tiny Tour is just the ticket with a suggestion of days out combining two or more places that complement each other. The app’s handy transport feature will then tell you how to link them effectively by foot, by car and by eco-friendly bus. With new adventures being added constantly, the Tiny Tours community is rapidly growing on Facebook so that parents can also nominate their favourite escapes and adventures for inclusion in the app. Tiny Tours is launched by Blue Sparrow Apps on 20th July 2016, free of charge and for iOS and Android from the app stores. Our press kit can be downloaded here.